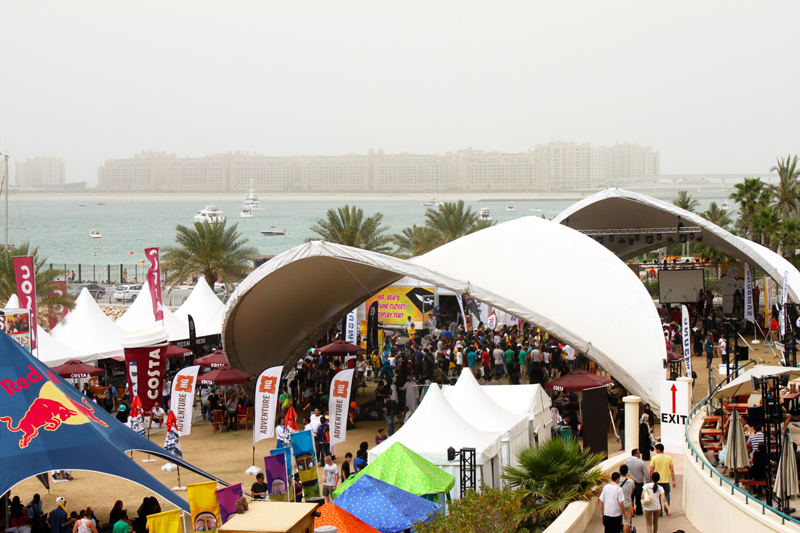 We had a blast at the 2013 Middle East Film & Comic Con (MEFCC) in Dubai this Saturday afternoon. Exhibitions, contests, activities, creativity, and fun costumes make it the largest pop-culture and entertainment festival in the region. Yes we’re nerds… and proud of it! But seriously, the event is for everyone – “whether a committed cosplayer, a crazy collector, a casual comic reader, a gung-ho gamer or even just a connoisseur of creativity” there is something for everyone. Here’s a few photos from the overcast afternoon to give you a glimpse into the fun. The day started with a ride on a shuttle bus (with zombies!) from Jordon’s University (AUD) to the venue. A single day pass cost AED 75 each (this was a more affordable price than last year). Our favorite Dubai-based illustrator – Stefan Messam! For the avid gamer or collector, there is nothing like a day roaming amongst your favorite comic book, video game, or manga characters. So much creativity and fun, along with my personal favorites from Freej. A few random characters – can you name all of them?